Let’s take a scenario where a sales team comprising of four members use Slack to communicate within the team and the organization they work for uses Zoho Books for invoicing. The sales team’s day-to-day activities involve contacting customers about new offers, sending them estimates, closing deals, keeping track of sales, etc. 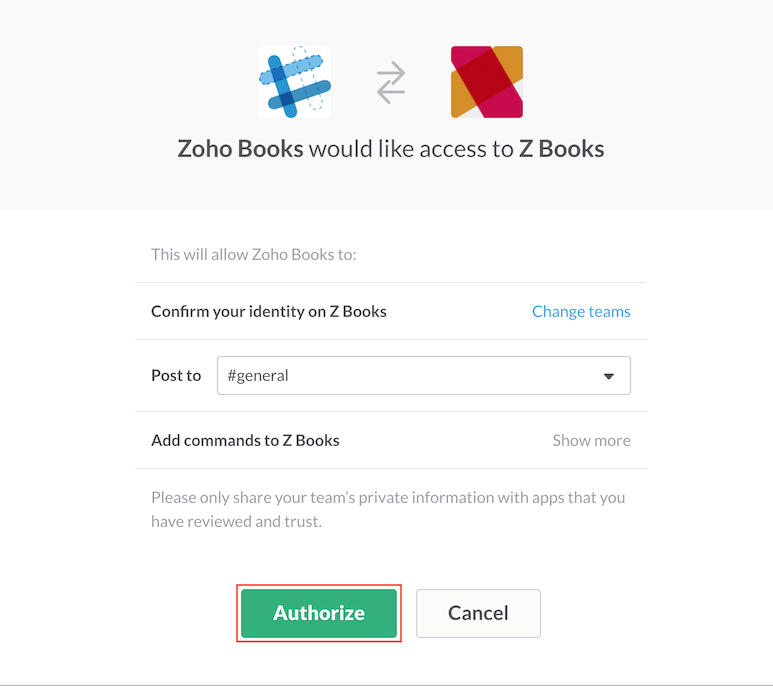 Enabling Zoho Books - Slack integration would push all client portal notifications from Zoho Books to the Sales team’s Slack channel. 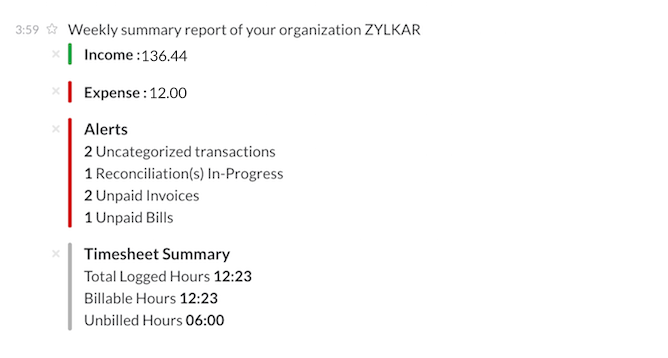 This will include notifications about an estimate getting accepted/declined, receiving payments for invoices, etc. This saves a great deal of time as the integration brings all the information in one place, thereby keeping all the members of the team on the same page. Click on the Gear icon on the top-right corner, and select the Integrations option from the drop-down. Under Integrations, select the Other Apps tab. You will see Slack displayed under it. 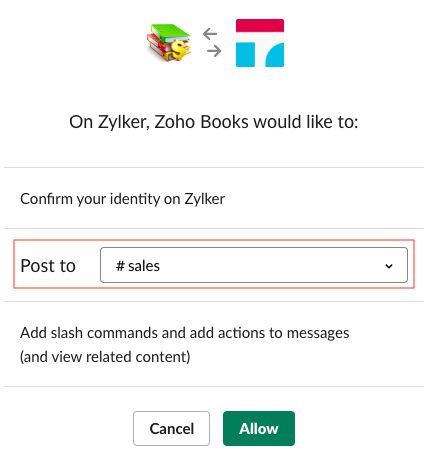 Click on the Add to Slack button to connect your Zoho Books organization with Slack. In the page that follows, you will be asked to enter your credentials for Slack. Choose the channel to which Zoho Books should push the notifications. Click on the Authorize button to complete the integration. When you setup this integration, your Slack URL and credentials will be shared with Slack. You will also receive weekly summary notifications(if enabled) directly into your slack channel. Click on the Gear icon present on the top-right corner, and select the Integrations option. Click on the Remove button to disable the integration.